October is Breast Cancer Awareness Month, which is an annual campaign to increase awareness of the disease and to raise funds for research into its cause, prevention, diagnosis, treatment and cure. Classic Shapewear invites you to join us in the fight against breast cancer. 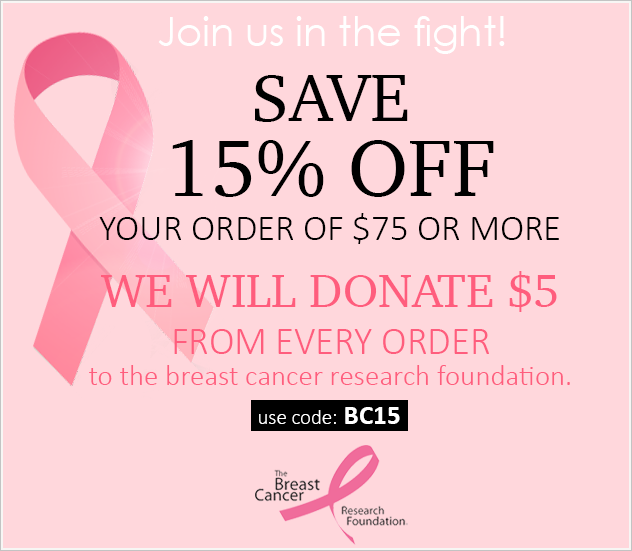 SAVE 15% off your order of $75 or more + we will donate $5 from every order to the breast cancer research foundation. Use code: BR15 thru October 31, 2015.